Get notified when Chicago Bears tickets are available! The Chicago Bears are a part of the North Division of the National Football Conference of the NFL and have been the pride of the Windy City since 1919. 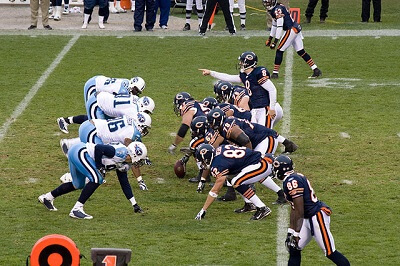 If you want to watch the Chicago Bears take to the field for home games, you need to be at Soldier Field, the team’s official stadium situated in the Near South Side neighborhood of Chicago. The stadium opened in 1924, making it one of the oldest still in use today, and it holds roughly 61,000 fans on game day. You can be one of the lucky ones on the bleachers by purchasing Chicago Bears tickets using the links above.